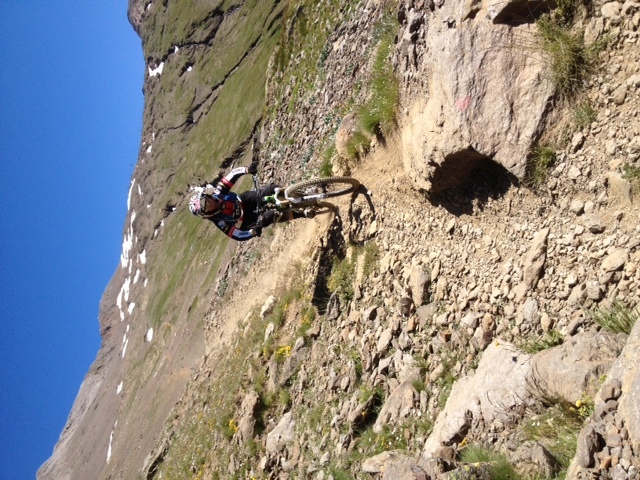 My Enduro races changed from individual time trial races to the crazy mass start racing for a couple of weeks ! First stop was Cervinia, Italy a lovely ski resort at the foot of the Matterhorn. 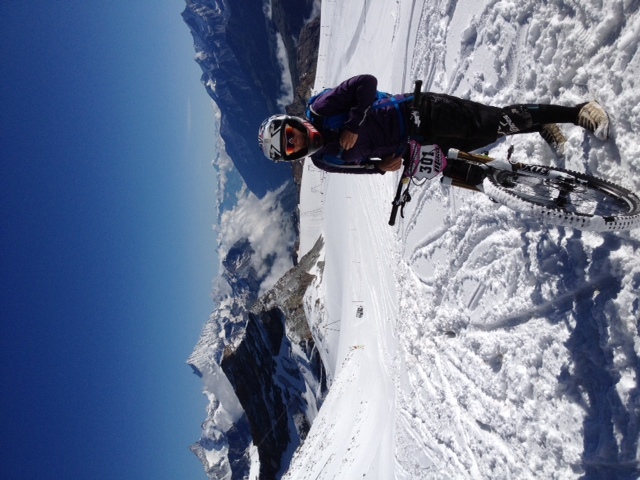 Sadly the weather turned bad on race day and we were unable to use the glacier to start on, so it was a shorter track but still a good 12min descent so some great training ! With only 5 girls entered it was not a big mass start but still a good workout and I had a good start in both races and led from the start to take the win. 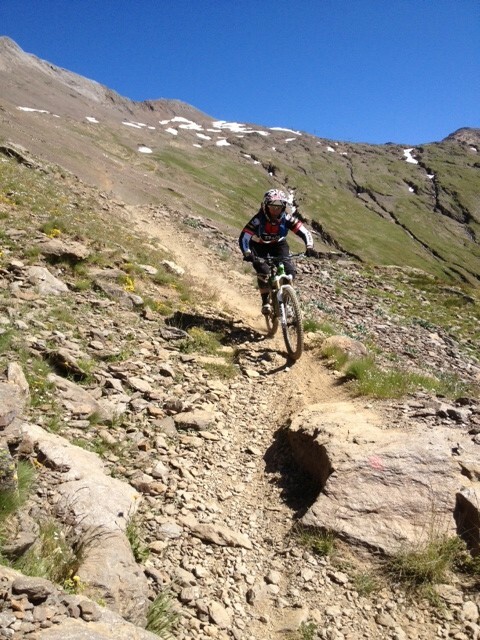 My next race was then the big one of the year, the Megavalanche in Alp D’huez. 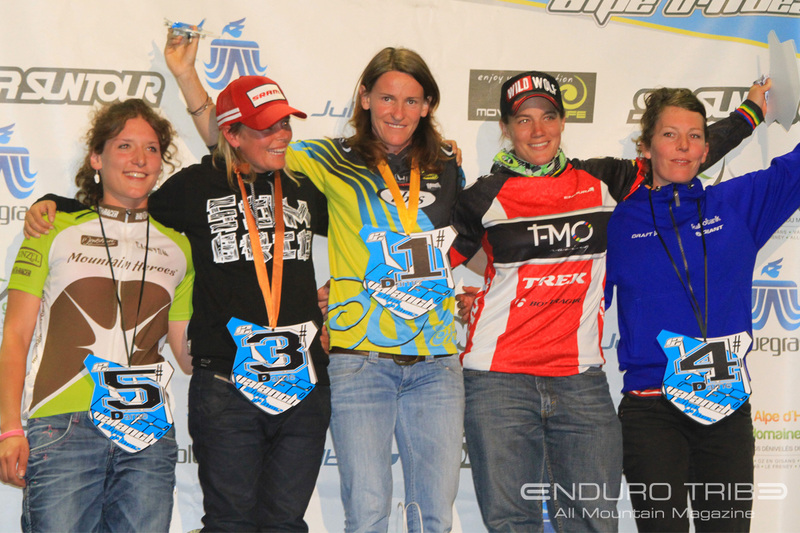 This is the longest running mass start enduro race and definitely a prestigious one to win. 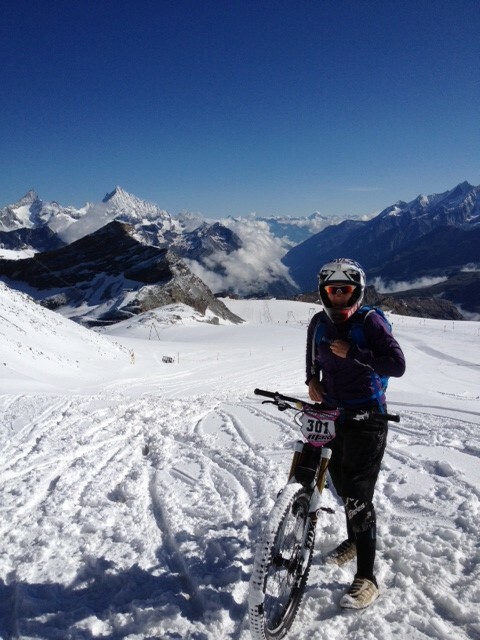 I took a weekend off in preparation and really tried to put some time in on the snow in best preparation but sadly it was on the snow that I lost my time to eventual winner Anne Caroline Chausson. 2nd place was still a great result with a strong field of over 100 girls. I also learnt a lot and feel I could be much better prepared for the race next year !